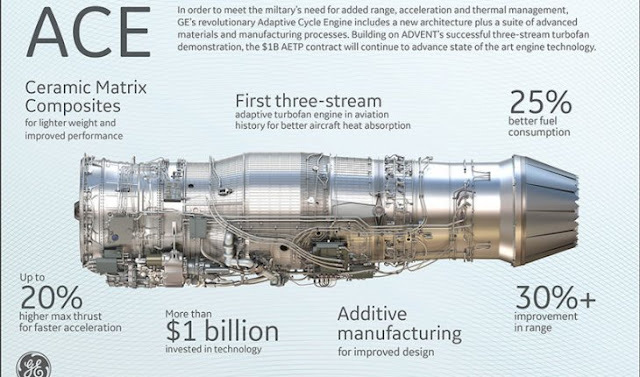 In June 2018 General Electric Aviation received 437 million dollars for this work; Pratt and Whitney followed last week with an award of a similar amount. 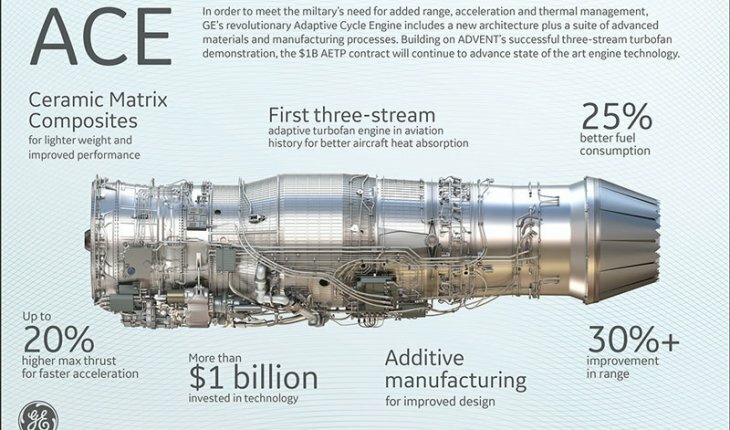 The Air Force’s Research Laboratory (AFRL) is expected to invest $1.5 billion dollars in the Adaptive Engine Technology Development (AETD) program through 2022. The enhanced core is one of the central improvements of the future engine that enables operation at higher temperature and pressure levels. Technologies utilized to manufacture this core include parts made with additive manufacturing, that offer improved efficiency, better heat absorption, reduced weight, and overall increased performance. This is all about range in my opinion. Range and I'm betting that they're hoping for added benefits of speed and acceleration, but its mostly about increasing range. For better or worse the modeling for what was needed by the F-35 with regard to range has proven wrong. It's woefully lacking for the coming fights and this is an effort to get more range out the same airframe. Consider this part of the effort to fix what's wrong with that plane.